“Foothills begins with syncopated guitars, hypnotically layered in signature Bobey style. This immediately soothing atmosphere draws listeners into his meditative world, a perfect backdrop for the subtle and nuanced lyrics." Bobey is an Oakland-based musician who makes percussive and melodic loops in odd time signatures using effects pedals. Many of his songs reflect on growing up in California’s central valley and focus on the fluidity of memory. Bobey’s writing revisits the mundane details of nostalgia, and the way that time shifts their context. Moments like taking half a year of karate after your father’s car was broken into, cleaning birch tree pollen off the sunroof of your Nissan Maxima, and your childhood playground burned down in a series of arsons across Sacramento in 2015. Taking influence from artists like Battles and Dosh, he uses live looping to build melodies on top of themselves rather than approaching them linearly. 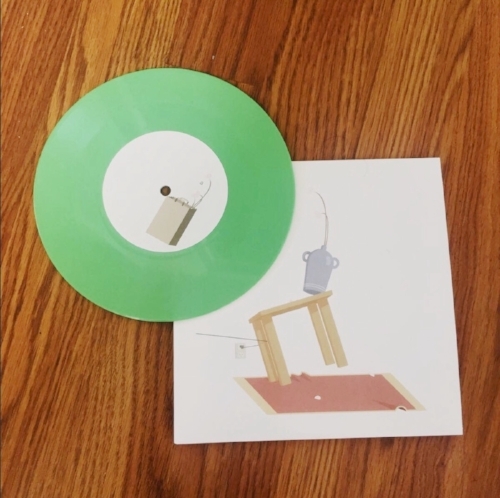 Siblings by Bobey is being released via Golden Brown as a digital full length album, plus a limited edition vinyl 7" of Melon Cauliflower b/w Foothills.